The political environment in West Bengal, after the thumping victory scored by West Bengal Chief Minister Mamata Banerjee, worsened today. 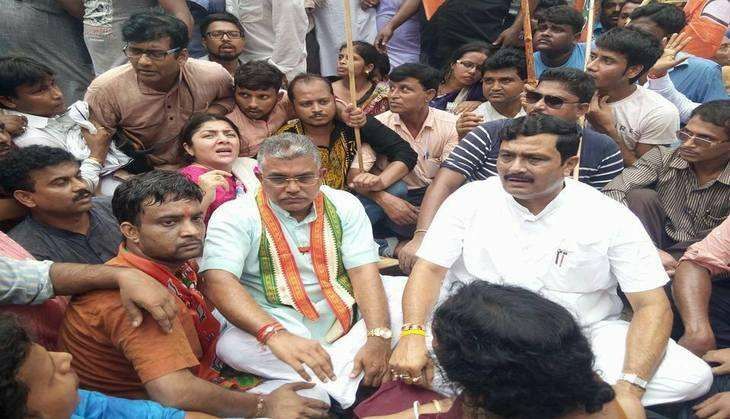 Following the attack on state Mahil Morcha president Roopa Ganguly, leaders and supporters of the Bharatiya Janata Party on Monday staged a massive protest outside Mamata Banerjee's residence. Supporters were led by state president Dilip Ghosh and leader Chandra Kumar Bose as they were barred by the police from entering the Chief Minister's house. "We will wait for two days to see whether the government stops this spate of violence or not. Then we will take a call on what our next move will be. Stalling the swearing-in ceremony could be a way. We just want one clarification from them - whether they want protests or peace. People have given you a mandate. But that doesn't mean you will enjoy your victory and we will spend our days in the hospital." When asked about CPI(M) allegations that the BJP is resorting to post-election violence in Kerala, Ghosh said that it was a culture that was brought to both states by the Left and added that BJP staunchly opposed it. A delegation of BJP leaders also met Bengal Governor Keshari Nath Tripathi. Ghosh said that Tripathi took serious note of BJP's allegations and rang up TMC leader Partha Chatterjee in their presence. He alleged that 150 BJP workers were rendered homeless because of the post-poll violence. The BJP is looking to turn these protests into a "movement", says Chandra Bose. ANI quoted him as saying, "A CM is for the state and for the people, she is not the CM of her party. We want to know what she is doing to stop all this violence. 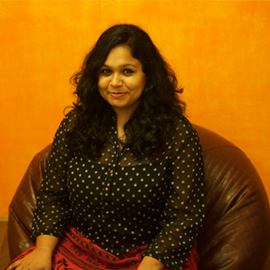 It is the duty of the CM to stop this forced violence and if she cannot, she should say so and step down." where she had gone to meet some injured BJP workers. As per media reports, TMC has denied all charges of political violence. It's not just the BJP; complaints have come from other parties as well. In Bardhaman district, three CPI(M) workers were injured on Saturday after they were allegedly attacked by Trinamool-backed goons. The CPI(M) claimed that the attacks came right after the party won the Jamuria seat in the Assembly polls. According to The Hindu, Trinamool cadres allegedly vandalised the house of a local CPI(M) worker on Saturday. Reportedly, the CPI(M) party office was set on fire in Narayangarh, where Surjya Kanta Mishra lost an election for the first time in 25 years. Some Trinamool supporters were also at the receiving end of the violence. Two TMC supporters were allegedly shot at by CPI(M) cadres in the Nanoor area of Birbhum district and one was killed in Baghmundi, Purulia district. The ruling party suspects Congress links in the killing.